Homeopathy utilized the principle that "like cures like", meaning that small, highly diluted quantities of medicinal substances are given to cure symptoms, when the same substances given at higher of more concentrated doses would actually cause those symptoms. Biologically-based Practices involve the use of substances found in Nature, such as herbs, vitamins, minerals, and foods to nourish the body and encourage healing and prevention. These principals, along with certain Mind-Body medicine, Manipulative and Body-based practices, Energy Medicine, and Bio-electromagnetic-based Therapies contribute to a whole body experience of healing and preventative wellness. The mission of Lakewood Apothecary is best described by the prayer inscribed on the transom above the entry doors: "May healing begin when you walk through these door." It is our stated desire to help clients to find their unique path to wellness while also being catalysts of healing for them on that path. 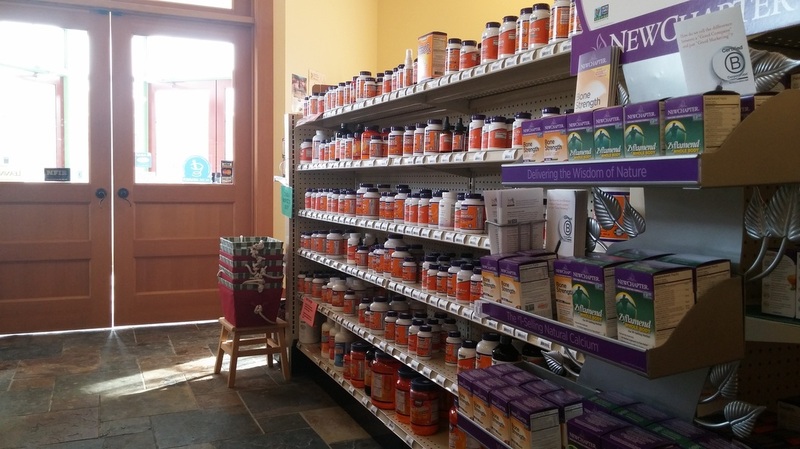 We are a traditional pharmacy, but with a complimentary approach to health and wellness. This means combining alternative therapies with conventional medicine to create integrative treatments that utilize the best of traditional practices with safe and effective alternatives. Education is the key to making this approach work for the clients and professionals we serve. Using whole-body medical systems like Homeopathy and Biologically-based Practices can improve the ability to manage existing degenerative diseases and create ways to achieve wellness in daily life. The simple act of choosing brands of herbs, vitamins, and minerals can challenge even the best-educated consumer. At the Apothecary we have done the "homework" so finding quality nutritional products is made easier for the client, along with a safe and educated approach to the use of these products to achieve healthy outcomes. Knowing the difference between synthetic vitamins and vitamins as natural isolate, food-based, and food-grown vitamins is what we help clients to determine for their best approach to wellness.